Lomonosov Moscow State University has developed an information system within the framework of the Noah's Ark project that includes data about samples from biological collections of the University and project partners. There are no comparable information systems in the world using information concerning biological samples of various origin and managing depositaries of biomaterial. The actual version of the system is available a online here: depo.msu.ru/. Data and organisms cataloged in the system are used by scientists members of the Noah's Ark project, which has been reported in PLoS ONE, Photosynthesis Research, and Molecular Phylogenetics and Evolution. 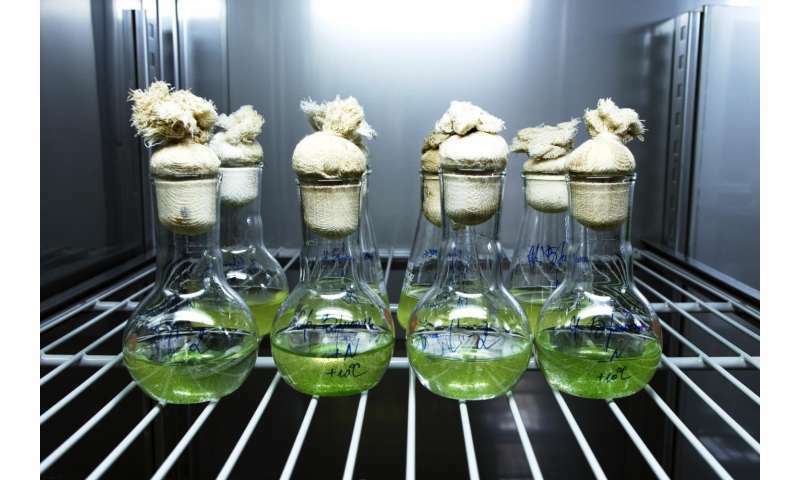 Alexey Solovchenko, the Manager of the Noah's Ark Microorganisms and Fungi Division, thinks that this information system could potentially become a real knowledge database of living organisms kept in the depositary. It could store not only descriptions of organisms, but also all techniques applied for studying them, and how to cultivate, study and store them for long periods of time. That is crucially important for collections of unicellular organisms such as bacteria and microalgae. Piotr Kamenski, the Noah's Ark project scientific coordinator, says, "The basic principle of system operation is a self-adjusting form of a sample certificate, initially comprising minimum information typical of each sample, disregarding the biomaterial and collection types. To such minimal information, one could include data about where and how the sample has been obtained and information about the living organism from which the sample has been taken. The rest of the certificate is adjusted to fully reflect all the data, configured differently for various living organisms and depository items, from bacteria to animals." A notable feature the system is the option to automatically load known data about the stored samples from reputable international databases, such as Catalog of Life, NCBI GenBank and others. So a sample certificate could contain much information, including the full genomic sequence of an organism. The project coordinator says: "A genomic browser built into the system is now in the process of development. We possess a dozen sample genomes sequenced within the framework of the Noah's Ark project. For other samples, it's necessary to get access to external databases. There are too many samples in our collections [to sequence ourselves], so we can't even dream about their complete sequencing. That's why the only possible solution is to integrate with already existing databases". Eventually, the system will be completed by bioinformatic services, with the help of which depositary users could gain maximum profit from the information and biomaterial stored there. Creation of such an ambitious electronic system requires a strict sequence of samples, which has been provided by bar coding. Taking photo of a barcode with a smartphone produces all available information about this sample in the database and loads its certificate instantly. The amount of the samples available in the system is growing as new collections are imported and information is added to existing ones. Piotr Kamenski says, "We've imported about 510,000 samples. 500,000 of them refer to herbarium samples and about 10,000 to fully described microorganisms. For the latter, apart from micrographs, there are detailed descriptions including eating preferences and genome sequences. Till the end of 2018, we are going to finish with importing all samples existing in the Lomonosov Moscow State University collections." Piotr Kamenski continues: "At the moment, there are 19 collections in the system, and the process of inventory, digitizing and data uploading is going on. Collections from the Lomonosov Moscow State University Depositary are physically located in the laboratories, where people work with them. If we take the Faculty of Biology, we should say that it possesses at least 100 collections. Previously, collections' owners knew little about each other, so only people who directly worked with collections had access to them. After the startup of our information system, the situation has radically changed."